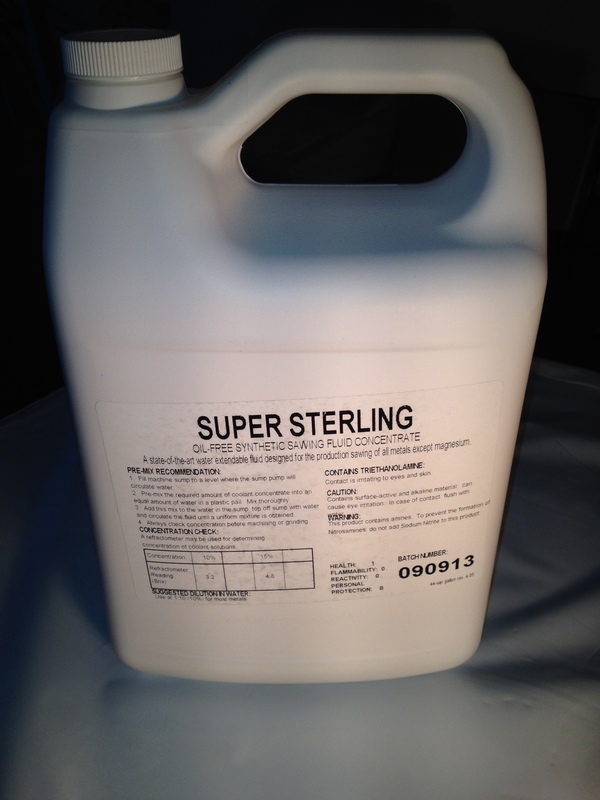 Super Sterling is a State-of-the-Art heavy-duty oil-free coolant designed to replace soluble oil in production sawing of all metals except magnesium. 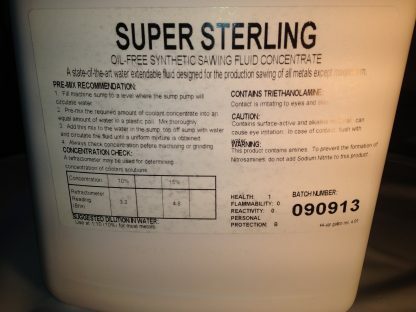 This product is excellent with aluminum. 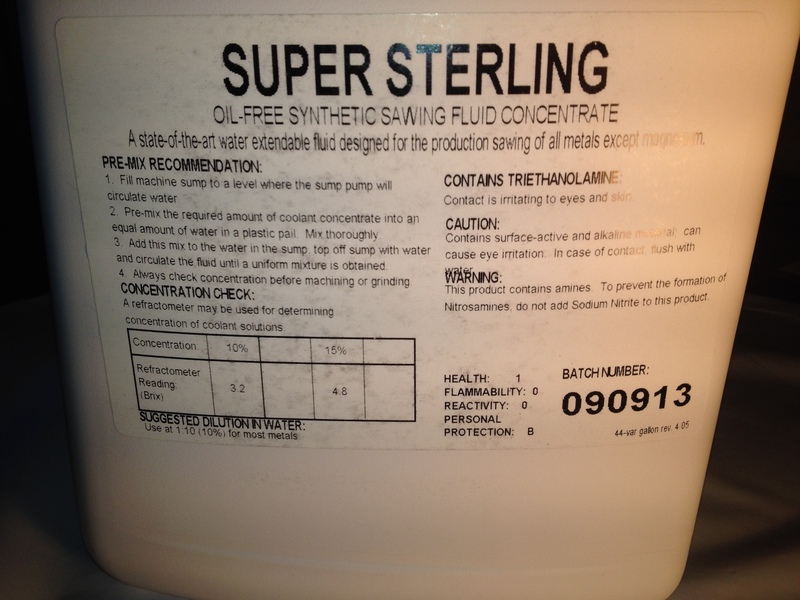 The coolant contains a remarkable package of EP additives and corrosion inhibitors which offer outstanding performance with the mess and disposal concerns of soluble oil coolants. 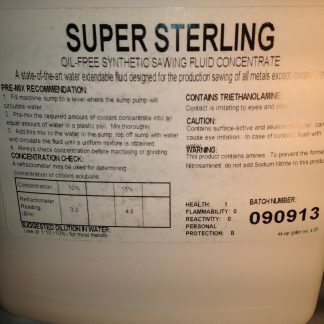 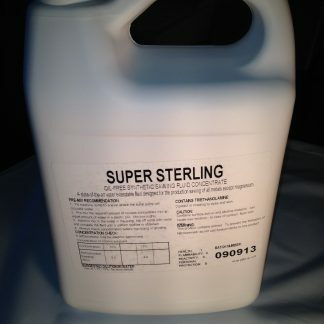 Super Sterling coolant works on all sawing applications including cut-off, band saw, power hacksaw, reciprocating, etc.